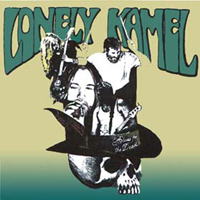 Lonely Kamel came alive in Oslo, Norway after a few jam sessions in a friend`s basement summer of 2006. All the guys were inspired by classic hard rock and blues from the golden era. So it was easy to put together the first songs which was released on the selftitled album in 2008 to great reviews. Now the band are ready with the 2nd album "Blues for the dead" on Transubstans (2010). Dirty, heavy blues and with clear references to stoner rock and the space rock genrè. Lonely Kamel is a really active band, and rumours say that the 3rd album is already in the making and ready for the studio fall 2010.